The word ‘safari’ comes from an Arabic word meaning “to travel on foot,” and was probably first used colloquially by the Elizabethan explorer Sir Richard Burton in the 1850’s. From here it has branched into many different meanings in the Africa context, from hunting to simply observing wildlife. The best time for African Safaris varies depends on what & where you will be going. 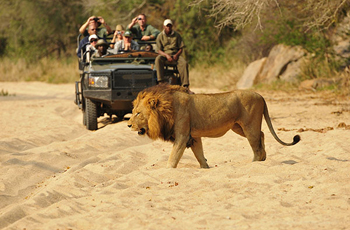 Broadly speaking when it comes to safaris, it is best to aim for the dry season (typically May – Oct) in Southern Africa. During this time surface water from the rainy season has dried up and wildlife movements tend to be concerntrated around permanent water sources likes rivers, wetlands and pans. It is also during the dry season that the bush is thinner and easier to see through. The day time temperature are mild to warm, as opposed to the very hot summer months. Nowadays African safaris take on many different forms, and if you are planning a once in a lifetime trip to Africa, you want a clear understanding of what the options are out there and how they can work for you, your time and your budget. To give you an idea we touch on a number safari experiences that all fall under the broad sweeping term of African Safaris and explain how & where in Africa these can be worked into your African Safari Experience! Read more about the different types of African Safaris below, or Email us and ask your questions! – This is what we see so much of in images across the internet. It is the ‘go to’ method of safaris across most game lodges & safari camps of Africa, and locally referred to as ‘game drives’. Wildlife in safari areas become fairly habituated to open vehicle safaris and therefore safari goers are rewarded with excellent sightings and get to witness amazing interactions between animals. 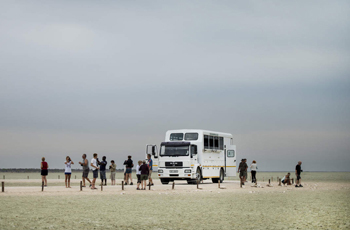 An open vehicle safari allows for a better sensory experience in sights, sounds and smells. They allow for great photo opportunities and for a first-time African safari it is a must. 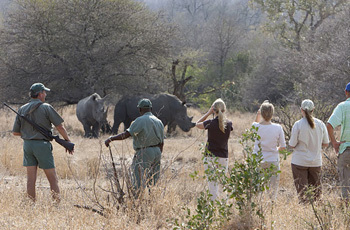 – In a walking safari you get to experience the African bush on foot, under the expert guidance of an armed ranger. Fitness levels required vary depending on the length and duration. 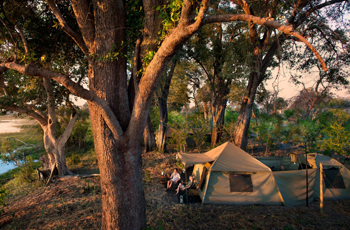 A walking safari can be anything from a 1 – 2 hour walk in the morning, to a multi-day primitive safari experience. On such a safari you get to see the finer details like tracks, dung, insects, birds and trees, that you would miss on a vehicle. Game sightings are fewer than on a walking safari, but invariably much more exciting and rewarding as wildlife reacts very differently to humans on foot than on a vehicle. 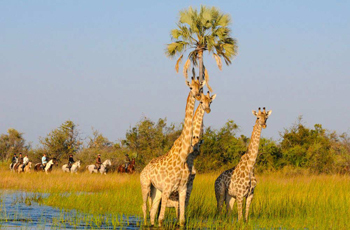 – These safaris probably resemble the closest thing to what a lot people have in their minds of a traditional African Safari. 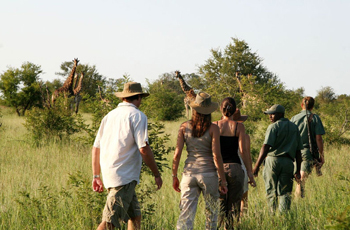 A safari outfitter will meet guests at the airport and take them on a guided journey through the bush. 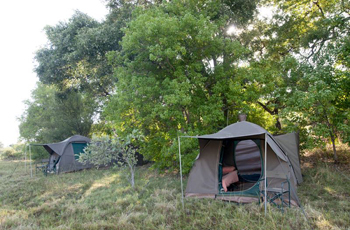 Guests are accommodated in temporary tented camps that are typically set up each day by a support crew & vehicle that go ahead of the main group. 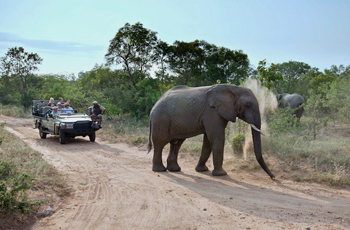 The whole safari is vehicle based with sometimes alternative activities offered on the side such as mokoro excursions, a morning walking safari. On a luxury mobile safari all catering & camp logistics are done by the guide & support staff and as such combines luxury & camping into a unique safari experience. – An Overland Safari or Adventure is a product aimed at predominantly (but not only), the younger or more budget conscious traveller. It is similar to a luxury mobile safari in that you move around with 1 vehicle and a crew, but the experience is more ground level and simple, and guests are expected to participate to a certain degree in setting camps and even to getting involved in the cooking. There is no support vehicle going ahead and setting up luxurious tents. Its more about adventure, getting involved and typically the groups on such a safari will be bigger (10 – 20). 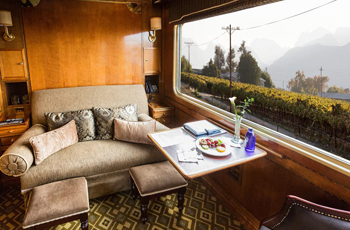 – Is more an African rail experience than a safari, where travellers experience the breath taking and ever changing scenery of Southern Africa from the grandiose surrounds of spacious train carriage. The trains we use are truly luxurious and all and every need is stylishly attended to. The train trips follow a scheduled routing and depending on the route it will include ‘off train’ excursions which maybe anything from an old mining town to an open vehicle safari or similar. 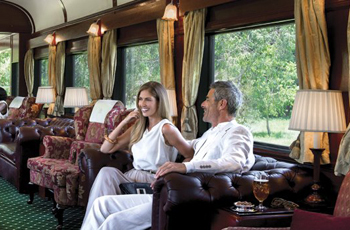 Luxury train safaris often form part of a greater itinerary in Southern Africa and serve as an expedient means of joining to regions whilst having a great experience at the same time. – A safari on horseback is something only for experienced and passionate horse riders. The horseback safari options in Southern Africa take place in some amazing wilderness areas with big game (lion, elephant, buffalo etc..) so a good level of experience is necessary. 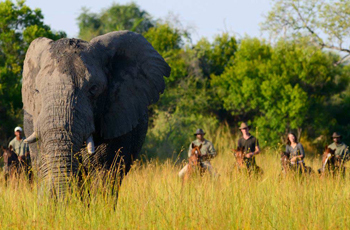 From luxury safari camps horseback safaris are conducted as you would do a game drive. They are of course always guided with an expert. – Once again most hot air balloon experiences in Southern Africa are more of an aerial visual experience over picturesque African country side, but not all are necessarily over the bush where one would expect to see wildlife. 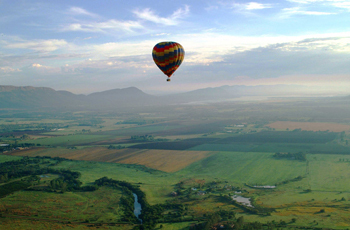 The nature of hot air ballooning dictates that the activity takes place just after dawn at first light when the air is calm (and the light beautiful). 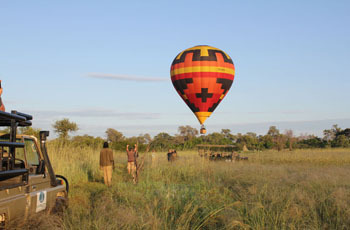 We include hot air balloon safaris to many itineraries as an experience well worthwhile, but is safari activity that lasts only 2 – 3 hours in total so is a ‘one day’ activity.